Spring has hit in the front yard. The plants are coming back to life, and starting to grow into each other. Having a full, green flower garden is always the dream, right? The rock garden is filling in nicely. I love the way the greenery grew around the pot. It makes me glad I left it right there all winter. 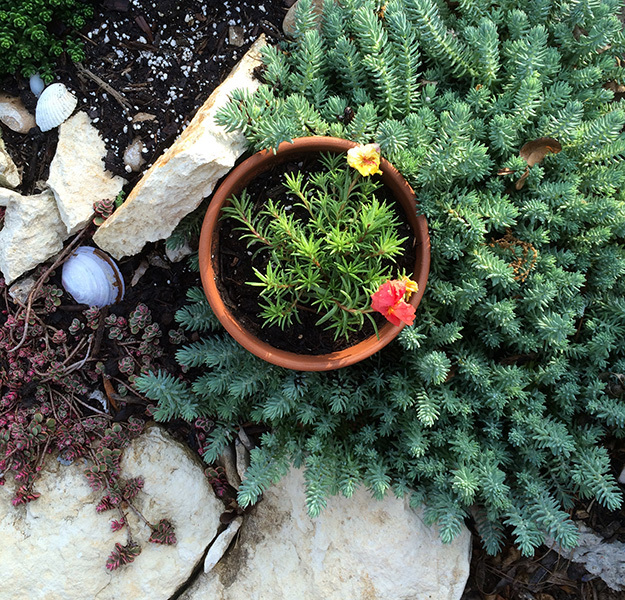 We just added the little flower to the pot for the spring. Our little herb garden is still going strong! The sage and rosemary have started to get very cozy together. 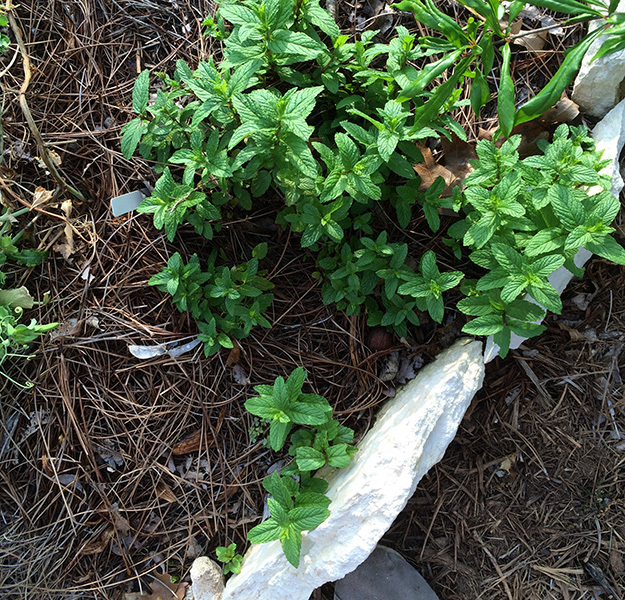 And the mint is spreading like wildflower. I just read that mint is a creeper, and should be contained in a pot, but oh well! Hopefully it realizes that rock boundary was an actual serious suggestion. What are you growing this time of year? 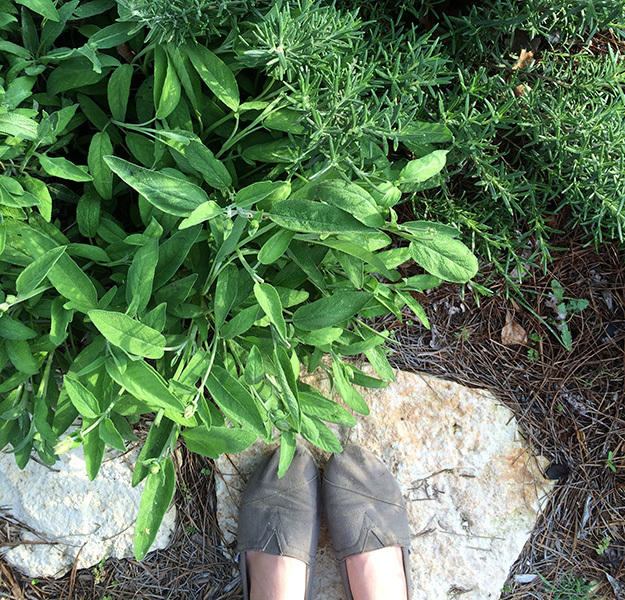 This entry was posted in Life and tagged Austin, central texas, garden, gardening, herb garden, rock garden on April 7, 2015 by Chelsea.